Special thanks to my friend Hiro for sharing with us! Hello everyone, and welcome to this week’s post for our #DisneyTrivia segment! Special thanks to my friend Jodi from Magical Mouse Schoolhouse and Heidi from Heidi’s Head for letting me join in! Today we’ve got a bit of Disney History for you! Walt Disney’s 13th animated film Alice in Wonderland is released in U.S. theaters by RKO Radio Pictures, two days after its London premiere. Kathryn Beaumont, the voice of Alice, will later narrate the Alice attraction at Disneyland. Alice features the animation of all of Walt’s “Nine Old Men.” Alice’s musical score, written by Oliver Wallace, will be nominated for an Academy Award. 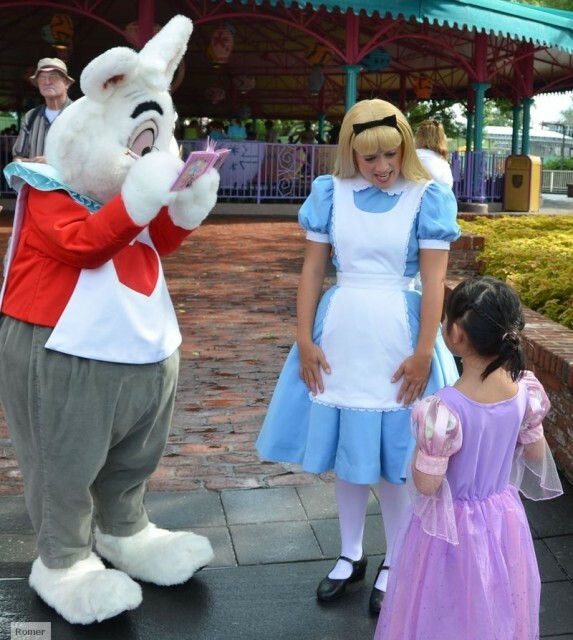 I’ve always thought that the movie version of Alice in Wonderland didn’t compare to Alice as a character at Walt Disney World. I really enjoy seeing her in the parks, and hope you do too! However, this movie was certainly a big one, and the fact that it had all of the Nine Old Men featured in the animation certainly does reflect the importance of the movie! What do you think of Alice in Wonderland? Like it, don’t like it, or have never seen it? Let me know in the comments, and thanks for stopping by! Don’t forget to check out the rest of the entries by clicking on the links below, and thanks! Main Street, U.S.A. and the Dapper Dans — our choice for #DisneyMusicMonday! Hello everyone, and welcome to this week’s #DisneyMusicMonday post! 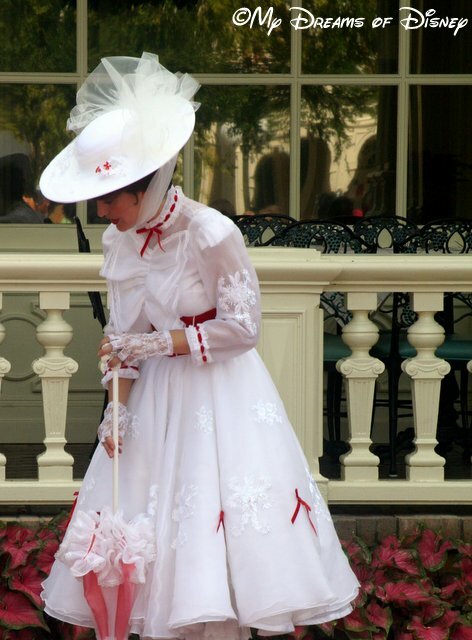 Last week we shared with you our favorites from the movie Mary Poppins, and our response was great! I loved all of you that linked up, and also loved reading all of your comments! 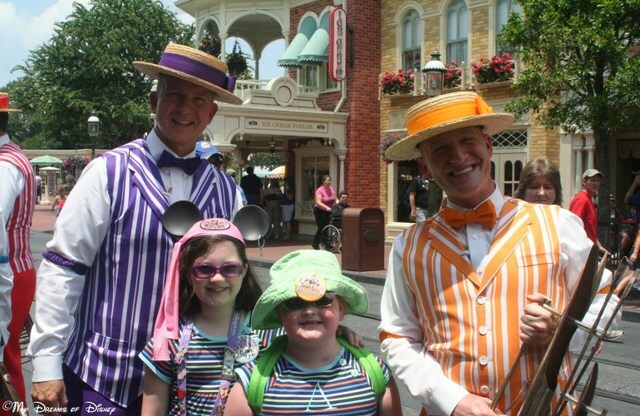 Today I’m taking a look at a musical group that often is found in the Magic Kingdom — the Dapper Dans! In the picture above, they are posing with my niece Anna Jane and my daughter Sophie! To kick off the week, here are a couple of videos that should bring a smile to your face! Go check them out, and thanks for stopping by! Don’t forget to link up your posts, as well as check out the entries from my fellow bloggers! Have a great week, everyone! Hello my friends, and welcome to this week’s Prayers for the Week post. This week I’m sharing with you a verse from the book of James that I came across this week. In reading this verse, it struck me that this verse is very much what this prayer post is all about. Believers praying for each other, confessing our sins, and asking for help in the battle against the evil one. I am thankful to each and every one of you for your commitment to this ministry, and I include you all in my prayers each night. Now, please read these requests, and pray for them. Also, please include your own prayer requests so that we can pray for you! I wondered how many people would turn away because the “Cross is offensive to those who don’t believe.” (paraphrase mine) I can’t say I am surprised, only surprised it isn’t a higher number. That is God working through you and this ministry. You, my dear brother, are a missionary in every sense of the word and I am so proud of you. I will ask for prayers and guidance over the next few weeks regarding school and work, which is school too :-) and praying that God leads me to a position that He wants me in. I am also asking for the faith I need to stay in my current role if that is what He wants. Thank you Robin for your words. I’ll pray for you always! Also, please lift up my brother Glen, who has had a recurrance of prostrate cancer. 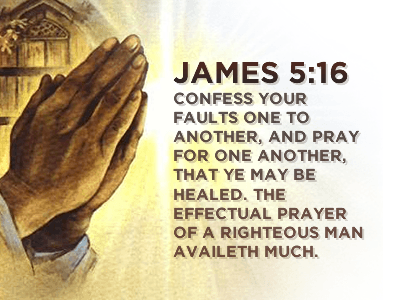 Please pray for healing. Thanks! My family is heartbroken. We are in tears. My kids can’t stop crying. We will miss you so much. Tell me this is a bad dream. Please pray for them. Please pray for God’s Peace, Comfort, Strength, and Love to descend upon them all, and on the family of their friend. Please help them come to grips with this and to realize that they may not get the “Why?” questions ever answered, but that God is there for them. Thank you for praying for them. Update from Katy’s Dad: Katy is still heavily sedated but making progress in her recovery. So far all of her organs are functioning as expected. Her transplanted heart is still very sick and may not recover. We are discussing the options that are available with her doctors. We’ll have more answers over the next few days. Please continue to pray for our little Rockstar. Not a great update. It has been decided that Katy’s transplanted heart is too sick to recover. She needs a second transplant. The problem facing the team is to figure out a way for Katy to survive until that time without going into cardiac arrest again. There are no great options. We’ve decided that the only option that gives us the any hope is to implant a device called an LVAD in her chest. This pump would do the work of the weakened left side of her heart with the hope that the right side will continue to improve. The 12 hour surgery is scheduled for Friday. Please pray extra hard for our little girl.For anyone interested, a Go Fund Me site has been started to raise funds for little Katy’s medical expenses. Katy just went into the OR. Surgery should last about 12 hours. Ready to start putting in the LVAD hardware. Great update from Katy’s mom on surgery! Katy’s surgery is going great. The LVAD is in and pumping. Her right ventricle is working on its own as we hoped. She is now off of bypass and they should be finishing up within an hour or so. 4 hours ahead of schedule because they didn’t have any problems. Keep the prayers coming. Katy is back in her room in the ICU. She’s stable after some post-op bleeding and very puffy from fluid.Her LVAD is working well and she will still be on the ventilater for at least a few days. Thanks for the prayers. Rough post surgery day for Katy. She’s very puffy from the surgery. They’re working to get all the fluid off of her over the next couple of days so they can close her chest up. Her heart rate continues to fluctuate up and down depending on the load on her heart. The next 12 to 24 hours is critical. Please keep those prayers coming. Lastly, please pray healing prayers for our dog Regan. He has come down with something that is causing vomiting, and we are worried about him. Please allow the medication to work as it should, so that he can be better very soon. Thanks! 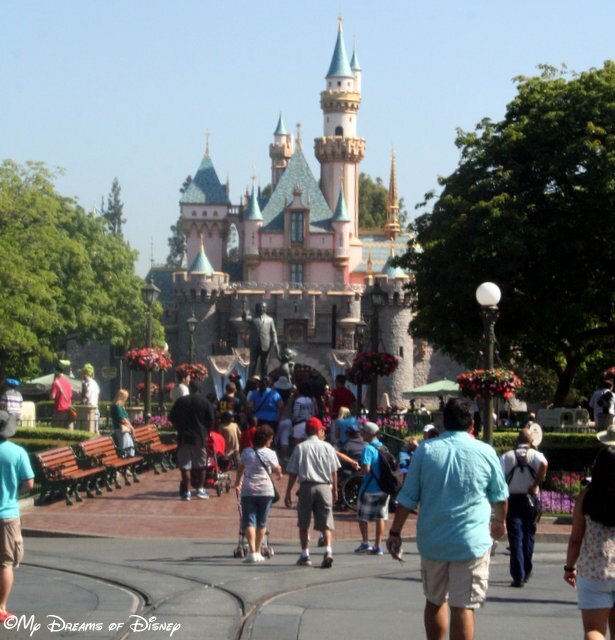 Sleeping Beauty Castle — an iconic structure at Disneyland! Hello everyone, and welcome to our #DisneyTrivia segment for this week! I’m joined by my special friends Heidi from Heidi’s Head and Jodi from Magical Mouse Schoolhouse! Today is a big day in Disneyland lore — as you know, this past Thursday was the 59th birthday of Disneyland. Well, did you know that on this day in 1954, the construction for Disneyland began?! Less than one year later, the park was open! That’s quite a turnaround, wouldn’t you say? Thank you for stopping by today! Don’t forget to link on over and check out the entries that Heidi and Jodi have for you — as well as the entries that you all put in as well! Have a great day everyone, and remember, if you have a blog and want to contribute, just write a Disney trivia post and add your link in!